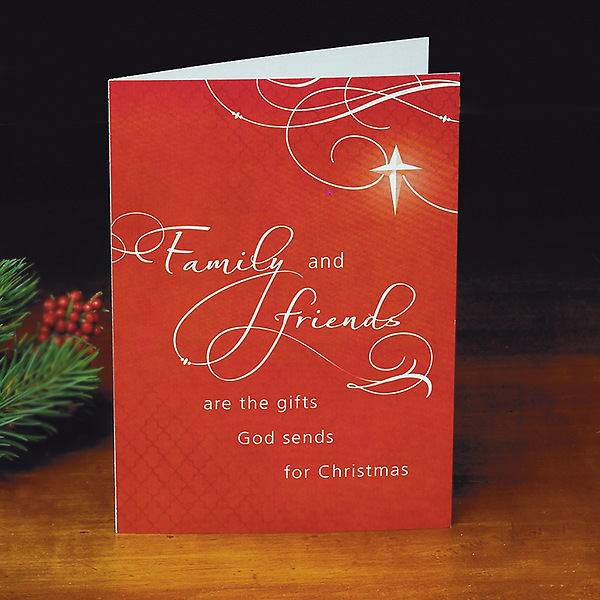 Card with exclusive design comes in a pack of 25 cards and 26 envelopes. Shrink wrapped. 4 3/8" x 6 1/4". Front: Family and Friends are the gifts God sends for Christmas. Inside message: Thanking God at Christmas for the blessing of YOU, and sending you love to last the whole year through.